The Nucleon assessment is a free resource that allows a project manager, scrum master or team leader to get a clear and accurate view of a development team’s performance. Taking less than 20 minutes to complete, the Nucleon assessment is the first tool to allow you to measure an IT development team’s performance. Why should you measure your IT development team’s performance? 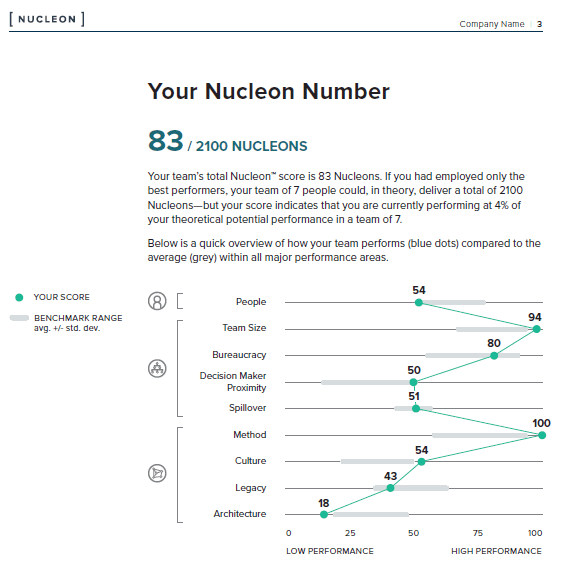 The Nucleon number that is generated from the assessment provides a single, comparable metric that helps you focus efforts on the most important factors that lead to high performance. 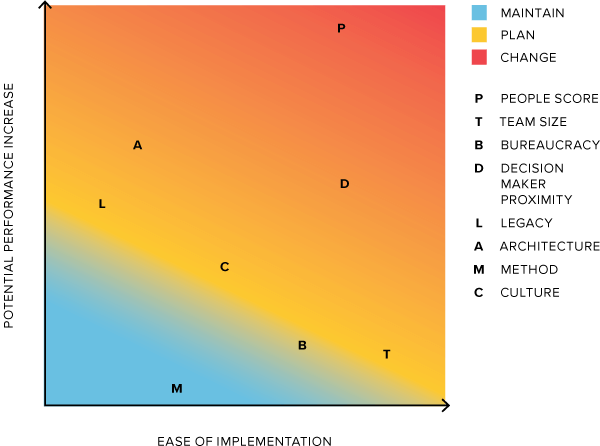 The heatmap generated from the assessment graphically depicts how to improve your team’s performance as efficiently as possible. The Nucleon formula and the assessment are potential game changers for the IT industry. They bring the often arcane mysteries of complex systems development into the light so that you can operate in the most informed and optimal way possible.